Terry Kirby has taken office at Tapton Park Golf Club, Chesterfield, almost exactly 25 years after a tumour in his spinal cord cost him the use of his legs. His story also highlights the work of the charity for wheelchairs golfers, the Handigolf Foundation, which he chairs. My dear friend popeye Terry congratulations you deserve the captain position. You prove there are no barriers and you travel the world and compete overseas representing your club with loyalty and respect for the Club. The right man for the job………. simple really. Kudos to the club, great one guys!!! Awesome and inspiring. I am currently recovering from a nasty condition which has left me with a disability where i am looking at ways to get back on the course. Going to look into this. 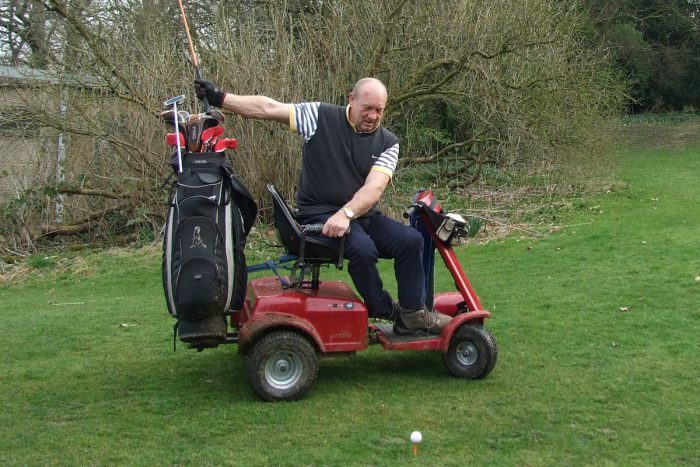 Ganstead Golf Club has a wheelchair golfer captain for 2020 for the first time. I’ve played many rounds with Terry on the disabled European tour, top bloke and fully deserved.